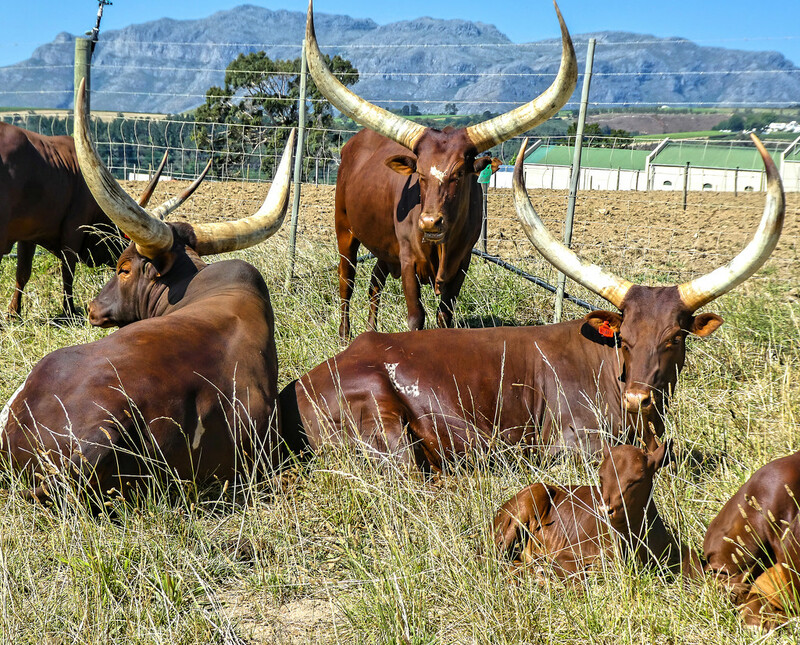 My sincerest apologies for previously posting these as Nguni cattle. I had been misinformed. I was at the farm taking some photo's, when I met one of the workers. We were discussing the herd and he told me what they were. They sure are magnificent cattle whatever their name. Wow, I would get a headache if I had to carry that weight around on my head. Wow, beautiful animals. Love those horns even though they look very dangerous. Fav. Whoa............ and I thought Texas had long horn cattle. Nope, these are bigger horns!!!!!! Those horns look lethal. Cool capture though. A great photo, I wouldn’t want to get in the way of those horns!! Beautiful cattle with such shinning fur. Not too sure about meeting them with these long horns. Well they are magnificent, regardless of their proper name. Lovely photo and impressive cows - whatever type they are! A beautiful shot of the cattle`s and those wonderful hills behind. Thanks for the wishes. They still have awesome horns. Your photo is so clear, it is almost 3-D.
@kwind @happysnaps @seattlite @littleconnie @gilbertwood @joannakate @onewing @hermann @sangwann @ziggy77 @merrelyn @sailingmusic @salza @rosiekind @craftymeg @claudiet @louannwarren @josiegilbert @pyrrhula @suzanne234 @taffy @henrir Thanks for the lovely comments and fav's, much appreciated. I thought they were Ankole Long-Horned cattle from Uganda.. :-) Actually I thought they were cattle with bloody big sharp horns.